The Camping Mod 1.10.2 offers several new elements related to this outdoor activity. To begin we will have 5 types of fires that will serve for cooking or burning elements, with greater speed and capacity. We create tents to place our “mattress” rather than bed and sleep in it, or save multiple trunks inside. We may also create backpacks to carry our objects. As good camping, could not miss the Boy Scout who now appear to the world, in two versions, one male and one female, although difficult to differentiate. Radishes are a new crop for this mod. 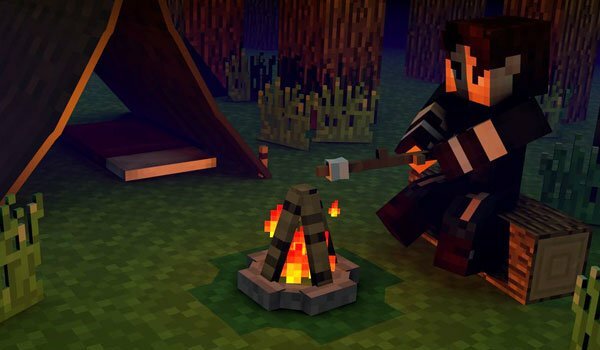 How to install The Camping Mod for Minecraft 1.10.2? Paste the “RikMulds Core” downloaded mod file into .minecraft/mods folder.